to shine in their own unique way. You allow us to see the beauty of this world. You love contrast. A little light, a little dark. The latest limited edition makeup collection from Dr. Hauschka, Dear Eyes..., is concise but beautifully thought out. The packaging alone is stunning, rose gold is the metal du jour and each item sparkles majestically on my vanity table. However, it's the products themselves that really shine. The eyeshadow palette contains three very wearable and coordinating shades. There's nothing worse than a palette that looks good but doesn't work in the 'real world'. I watched the Youtube video where Karim Sattar, Dr. Hauschka's international makeup artist, demonstrates the suggested application of the collection for day and night. It's so easy to follow and the finished result looks natural yet defined, with a subtle glow. 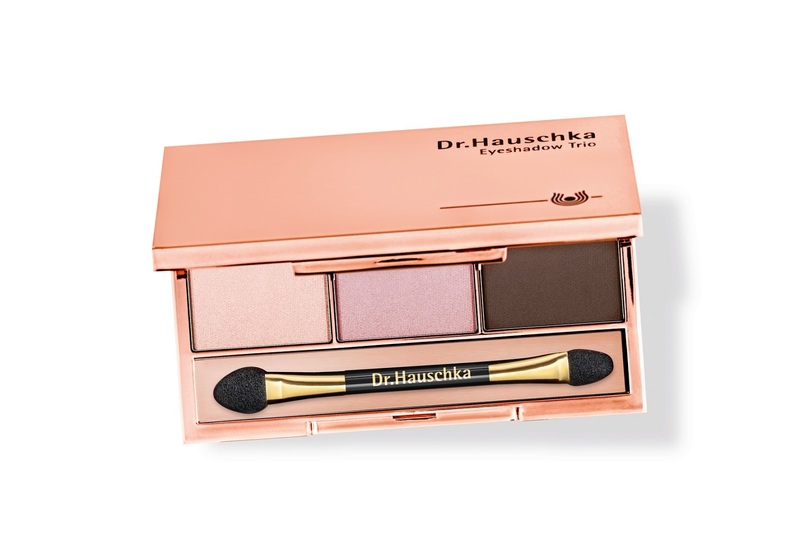 I reach for this palette every morning because it looks great on, has fantastic pigmentation, is easy to apply and is made entirely of natural ingredients (including fine silk powder, anthyllis, witch hazel and black tea). I love that you can blend the cream and the rose shades together for a light, glowy blush also. I can't get over the formula of this new Kajal Eyeliner in the shade Black. It contains botanical waxes and oils but the addition of marula oil means that it is softer than previous versions of Dr. Hauschka eyeliners. It smooths over the eyelid without pulling or tugging, which is better for the delicate eye area. The smudger on the other end is perfect to achieve a smokey look, just apply and blend out. I apply it everyday to my upper lash line and it stays where I want it all day. I've never tried an all-natural mascara before and didn't know what to expect, but I was pleasantly surprised! 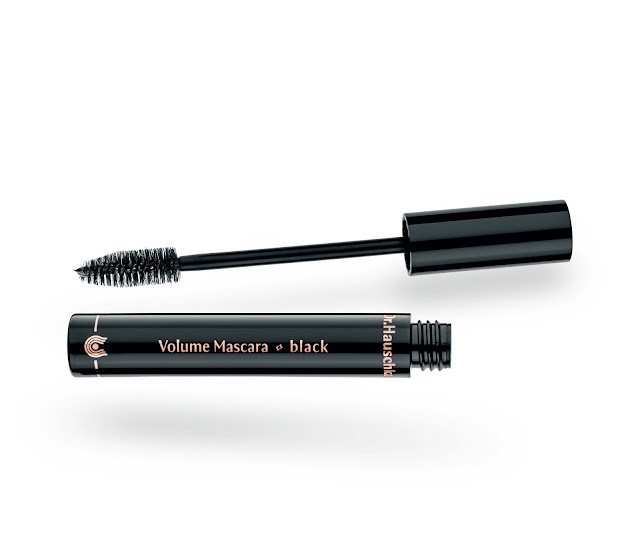 I wondered if the Volume Mascara would have the staying power that some of my other mascaras have, and I found that it definitely does, with the added bonus of being easier to remove at night. The new brush volumised and lengthened my lashes and coated them with some lovely ingredients like beeswax, candelilla wax, rose wax, silk and black tea. If you're particularly sensitive around the eye area, I'd give this mascara a try. I love this entire collection, but I very nearly want to say that these brushes are my favourite part. If you're after a set of outstanding quality eye brushes, then pick these up. You won't regret it. 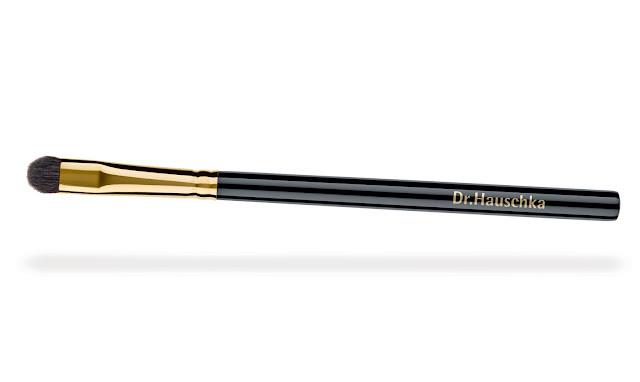 Great brushes are the key to a brilliant makeup look and these are top of the line. So soft, but dense enough to pick up colour and blend well. I'm positive that these will last me an age because of the quality and the fact that I'm going to look after them well. They are the perfect size to fit over the lid or in the crease too. 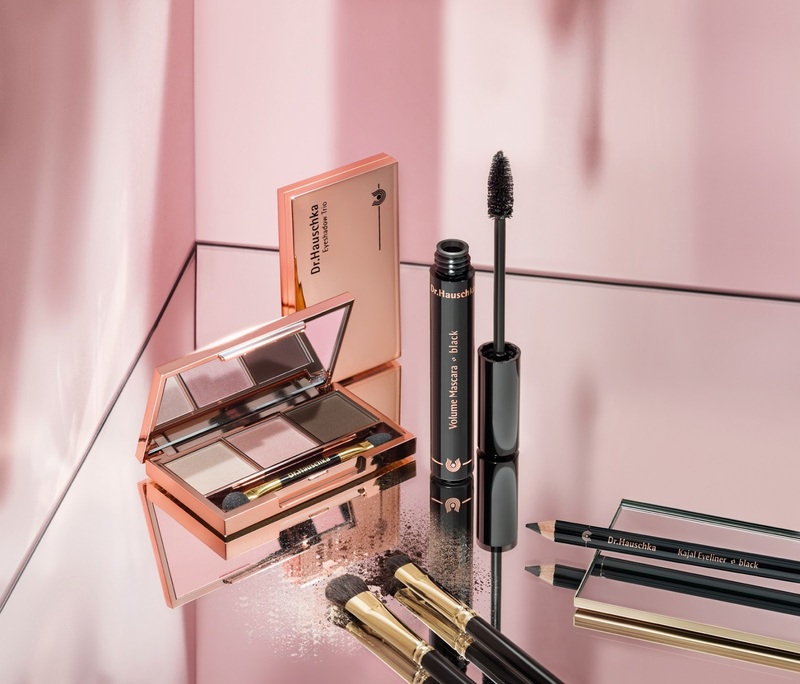 It's important to look after the eye area as it's the most delicate part of your face so it makes me happy to know that beautiful, high-performing natural makeup products do exist. Who wouldn't want to look like this?! If you'd like to know more, or are keen to purchase, you can do so from this website. If you love the sound of Dr. Hauschka and it's natural philosophy then visit this Facebook page, you won't be disappointed. I find something on there to inspire me daily!